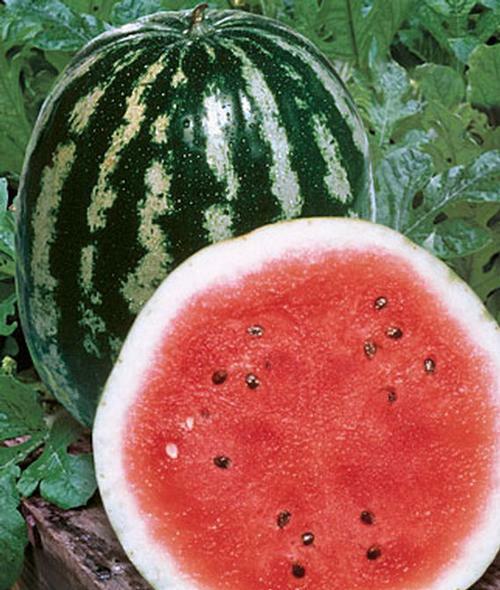 Classic red flesh watermelon won the AAS award in 1964. Plump oval fruits have jagged stripes of pale and dark green, can weigh up to 25 lb. Good disease resistance.